Unless you’re a car enthusiast, most of us hop in the car, turn the key and start driving. Rarely do we think of the engine, let alone all the pieces and parts that keep the vehicle running. Until, of course, it fails. Only then do non-mechanics and average drivers discover just how much goes into keeping the engine in tip-top condition. If this is you, we have some good news: 303® Automotive Protectant makes it easy to extend the life of your engine. All it takes is a little time and a few quarters at your local carwash every few months. Anyone who looks under the hood of their own car knows how oily and filthy the engine components can get. The buildup of grease, oils, and fluids often lead to premature replacement of radiators, A/C hoses, belts and other rubber pieces. These replacements are annoying at best and always inconvenient—not to mention expensive. 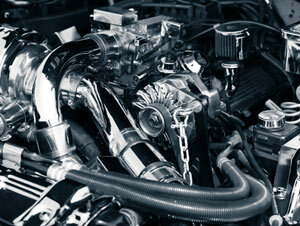 Plus, a dirty engine makes it difficult to tell if your vehicle is losing fluids it needs. Using Automotive Protectant is an excellent way to maintain and extend the life your under-the-hood rubber and plastics. And if a shiny engine is your thing, it’ll help with that, too. Spray the engine with a degreaser, following manufacturer instructions. Use a high-pressure hose to wash away accumulated grease, oil, and dirt. Wipe up pooled water with old towels or blow away with an air hose to get the engine as dry as possible. 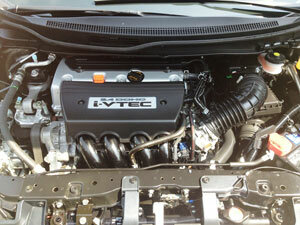 As soon as the engine is clean, saturate the entire compartment, covering all rubber, plastic and painted surfaces. If you have an air hose, blow excess protectant down through the engine and dry surfaces completely with clean, absorbent cloths. If you don’t have an air hose, let the protectant stand for five minutes, then dry all surfaces thoroughly. Avoid getting water into the distributor or unsealed electronic components. Can a small amount of 303 (pint) be mixed into radiator fluid to protect rubber hoses from inside out? No. 303 Aerospace Protectant is a topical (needs to be applied) product recommended only for exterior surfaces to prevent UV damage.Please contact us at marketing@goldeagle.com if you have any questions about this. Thank you.